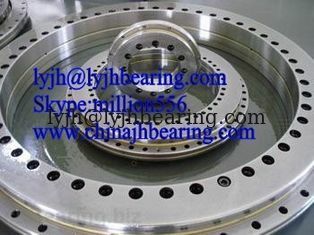 YRT650 rotary table bearing name called precision three row cylindrical roller bearing.Its structure two thrust needle roller bearing and a radial cylindrical roller bearing with the combination of axial and radial preload,for the convenience of transportation and fixing,two or three symmetrical screws are fastened to the tow rings in order to prevent roller and rings generating collisions which influence bearing accuracy. 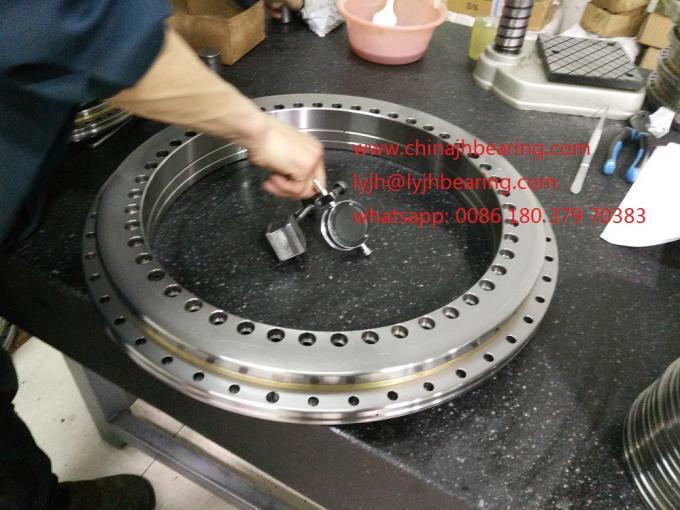 YRT50 Bearing used for MILLING HEADS, DEFENSE AND ROBOTICS Greater Productivity. Stronger Performance.